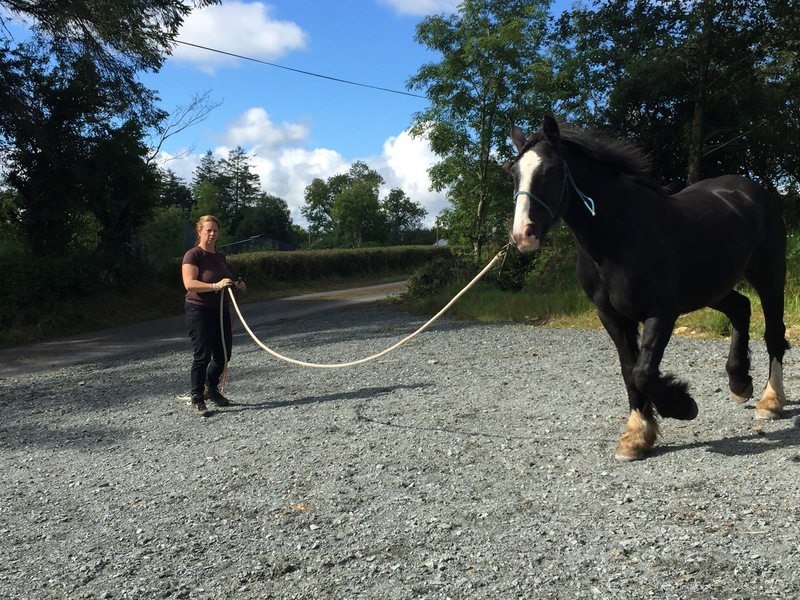 My name is Johanna Dunn and I am a natural horsemanship trainer specialising in problem horses. 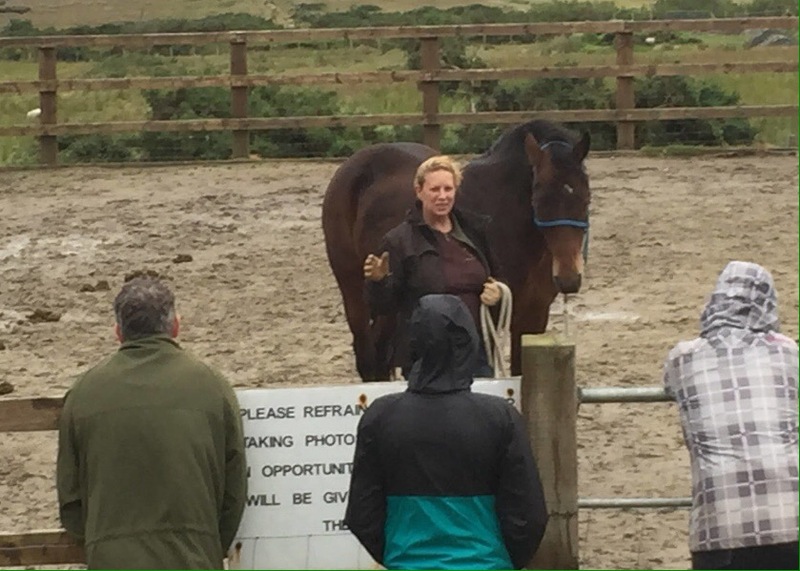 In this article I hope to give you some insight into natural horsemanship and how it can help you be more effective with your horse. So let’s start by talking about “natural horsemanship”. What it is (to me), and what it isn’t. The word can mean so many things to so many people, but for me, it just means working towards having a calm, obedient, and trusting horse that pays attention when asked to, and that engages with me to figure out what I am wanting. Unfortunately many people have the wrong idea about natural horsemanship, which makes getting people the help they need so much more difficult! They think it is a wishy washy way to get your horse to run free with you through a field while you wear a flowing gown, with butterflies and flowers and some such nonsense. 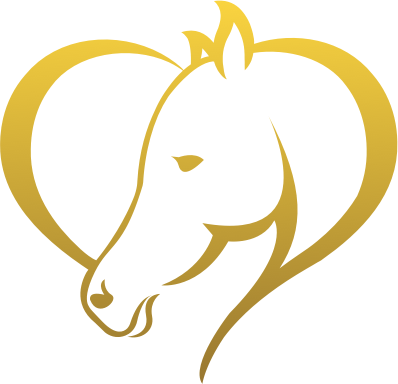 Of course, if that is what you want with your horse, natural horsemanship can certainly get you there, but for most people they just want to have fun with their horse, and avoid any sort of battles, problems, or issues that result in feeling fearful. So how do you get a horse that is calm, obedient, respectful and pays attention to what you are asking? That is the puzzle. When I come to a horse, that is where my years of experience come in to play to figure out why the horse is not calm or obedient and often times disrespectful or dangerous. There is a list I go through to eliminate the obvious. The first thing to address is feeding and the living situation. Is the horse getting hard feed (grain or nuts)? Honestly most horses, unless in moderate to heavy competition, ill or pregnant, do not need hard feed. When a horse is having behaviour problems, the first thing I ask the owner to do is to eliminate the hard feed. Most commercial feed is packed with molasses (sugar). Sugar and behaviour problems absolutely do not mix. The next thing I address is the horses living situation. Does the horse live in or out? If he lives in, is turn out provided? How often does he work? What are his neighbours or field mates like? Horses absolutely need time to be horses. If they live in, and turn out is not provided at least a few times a week, they are going to be grumpy and sore. Turn out allows them time to buck and roll, which stretches and twists their spines, helping to relieve any tension or soreness. If all they do is stand in a stable, only getting out to work, their attention span is going to be very limited. The next issue is pain. Typical places of pain are in the back at the wither or hips, in the shoulder under the arm pits (“girthy” horses) or at the poll. Pain in any if these areas can result in behaviour issues. Chiropractic and acupuncture for horses has come a very long way in the last 10 years, and I have seen many horses benefit from a checkup. Then we come to the bottom line. If feed, housing or pain are ruled out, it comes down to the owner and their horse. Generally confidence plays a huge part in behaviour problems. The horse acts up, the owner becomes fearful and less confident, and therefore the horse becomes fearful and less confident. This all boils down to herd behaviour. Most horses are born followers. Problems arise when they don’t feel like their owner is a good leader. They become nervous, barn sour, bad tempered, but what they really are is unconfident. They try to take on the role of leader, and hate it. They are looking around for another horse so they can relax. There are several things you can do to convince your horse that you are a good leader. 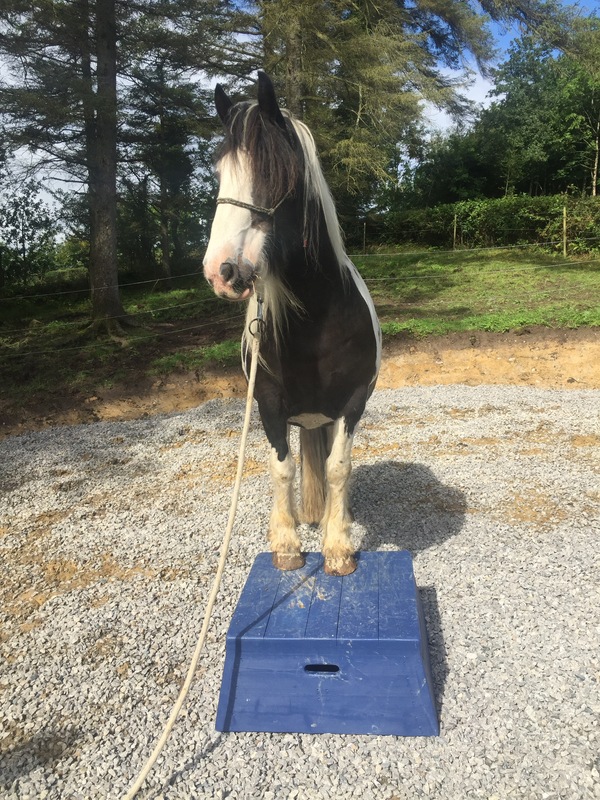 Be aware of any time you feel your personal space has been invaded in a pushy or disrespectful manner, and ask your horse to step over a bit. This is particularly important in the stable or when leading. Notice how often you move yourself around your horse, and try to move your horse around you instead. Remember the leader moves their feet less then the subordinate. Try to be definite in your movements, on the ground and in the saddle. Leaders always have a plan, and don’t meander. Try to always be going somewhere with purpose. Horses love their leaders. Remember to keep the friendship strong. A good grooming, especially in the wither area can show your horse how much you care. 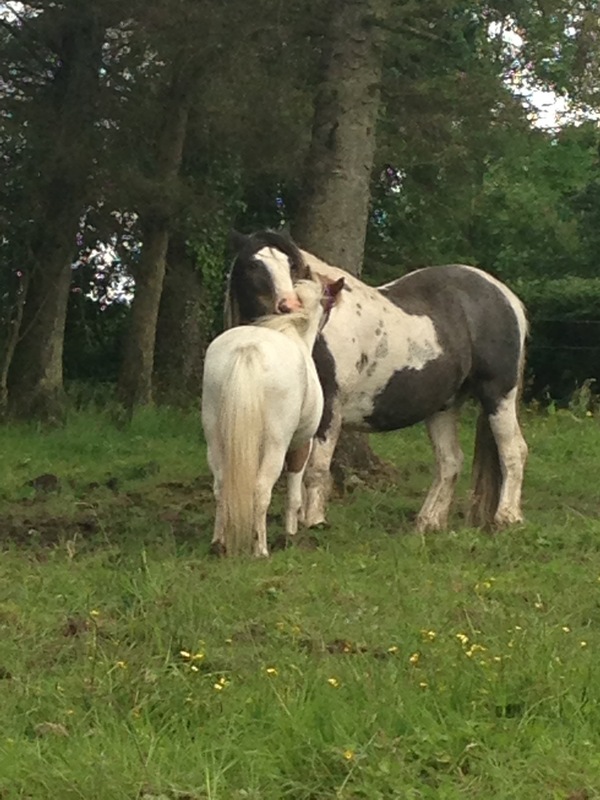 See if you can find your horses favourite itchy spot and give it a good scratch, particularly when your horse is behaving as desired. Perhaps a lovely bit of grass after a good ride, to show him you can do things he likes as well. 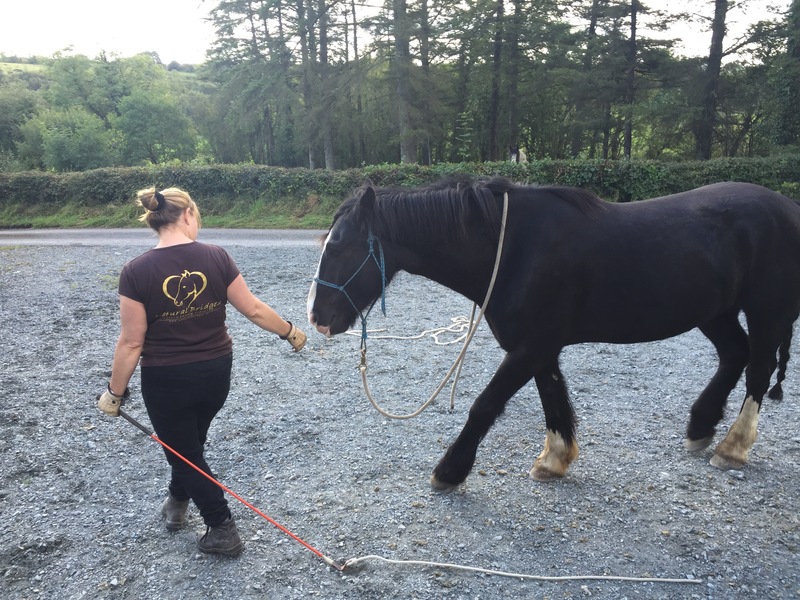 Sometimes all it takes is a very small change to make a big difference to your horse. If you have a pretty good horse to begin with, you may be surprised how much better he can be with a few small changes! Johanna Dunn, based in Ireland, created Natural Bridges to help owners learn how to be more effective with their horse.